Canada is facing a new crisis. Middle income Canadians are beginning to feel the pressure of not having enough to get by. Whereas most middle income Canadians have been able to support themselves adequately for years, many are finding that now, money is becoming tighter and harder to hold on to than ever before. The median income in several parts of Canada, from the National Household Survey. In fact, according to the National Household Survey, the median income in Canada in 2010 was $61,072, but this omits several important points. Income is higher in certain types of families, and lower in others. Lone-parent families earn a median income of only $45,163, a mere 66% of the median income for couple families of $68,340. The struggle for single income families to maintain a middle income wage and support themselves has been increasingly difficult since the 1970’s, when inflation increases required both parents to work in order to support a family. Now, it is almost impossible to support a family on a single salary. Even the average employment income between men and women is unbalanced. In 2010 the income for a fully employed woman was $45,857, while a fully employed man earned $54,832, an almost $9,000 difference . Even in a struggling middle income scenario, women are still discriminated against with their income, further preventing them from being able to achieve and maintain a middle income lifestyle. Over the past 35 years, two full cycles and Canadian median income is back where it started. The problem is highlighted by the stagnation of median household income in Canada over the last 35 years. As pictured in the graph above, the median Canadian income has declined sharply in the early 1980s and 1990s and recovered only very slowly both times. Canadians are not earning any more than they did in the late 70’s. The percentage of income that the top 1% of Canadians are getting each year. Middle income Canadians are also having their share of the economy taken from them. As the graph shows, the top 1% of income earners have doubled their share of income since in 1977. In 2009, the richest four percent of Canadians controlled almost $1.8 trillion, or two thirds of all the financial wealth in the country. With so much money being restricted to very small group of people, average Canadians are finding that they have less and less in their pockets to work with. The top 1% have also been taking home bigger shares of wealth increases since 1980, and Yalnizyan shows in her report that almost 33% of all incomes gains from 1997-2007 were acquired by the top 1%. The increased concentration of both income and wealth in the hands of a few means less for middle income Canadians. Many median wage Canadians miss out on the extras that a lot of the highest paid Canadians take advantage of. Compensation, bonuses, and extra stock options, and investing allow the already wealthy to exploit their income for even more financial gain. In 2007, 14.5% of the Top 0.01% income was generated from dividends alone. Housing prices have also increased by more than 10% in the last year alone, further adding to the difficulties faced by many Canadians. If wages are staying stagnant for most Canadians, how are families supposed to adapt to the ever increasing cost of buying a home? The change from $159,972 to $164,176 in PEI may not seem big, but the more than 10% increase from $277,340 to $311,408 in Newfoundland is a massive change in price in one year. Salary growth will be unable to keep up with the consistently rising prices of housing. Unless this income inequality is controlled, middle income families are going to be placed under more pressure and forced back down into the depths of the working class. More and more students graduating from university will find that their salaries will not afford them an adequate house and car. Families are already borrowing more just to make the ends meet, and the average family debt in 2014 is now over $27,000 in non-mortgage debt. This includes car loans and unpaid credit card bills, and it’s an all time high for Canadian citizens. By the end of the year, it is expected to rise to almost $29,000. The cost of living is increasing, and prices are not going to decrease, but if income is not increased middle income earners in Canada will be forced out until only the rich and poor remain. 1. National Household Survey. “Income, Earnings, Housing and Shelter Costs.” NHS, (2013) Statistics Canada website. 2. Yalnizyan,Armine. “The Rise of Canada’s Richest 1%,” Canadian Centre for Policy Alternatives, (2010). 3. 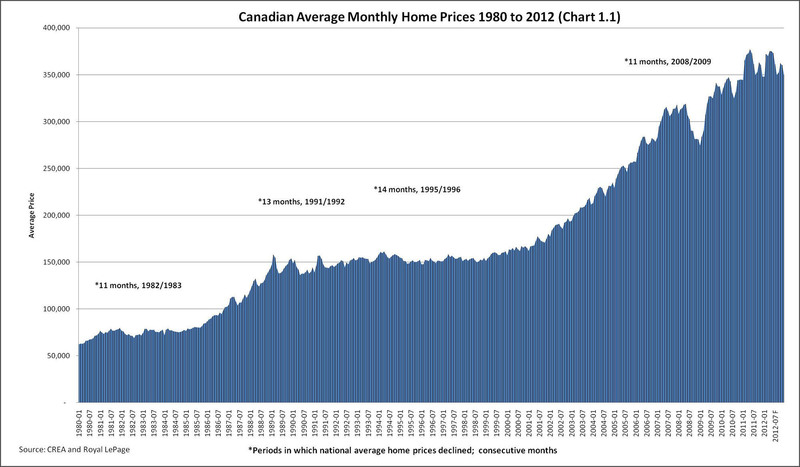 CBC News, “Home sales hold steady in February,” CBC (2014) Link. 4. LaSalle, LuAnn. “Canadian Consumer Debt to Hit All-time High by 2014’s End, TransUnion Predicts.” Huffington Post (2014). Link. 1. Yalnizyan,Armine. 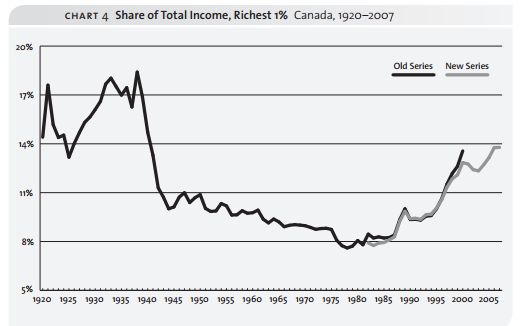 “The Rise of Canada’s Richest 1%,” Canadian Centre for Policy Alternatives, (2010). Visit . 2. Frenette, Marc. “Taxes, Transfers and Canadian Income Inequality.” Canadian Public Policy, 35, 4, (December 2009) 389-411. 3. Ivanova, Iglika and Seth Kelin. “Working for a Living Wage: Making Paid Work Meet Basic Family Needs in Metro Vancouver.” Canadian Centre for Policy Alternatives, (2013). Visit.